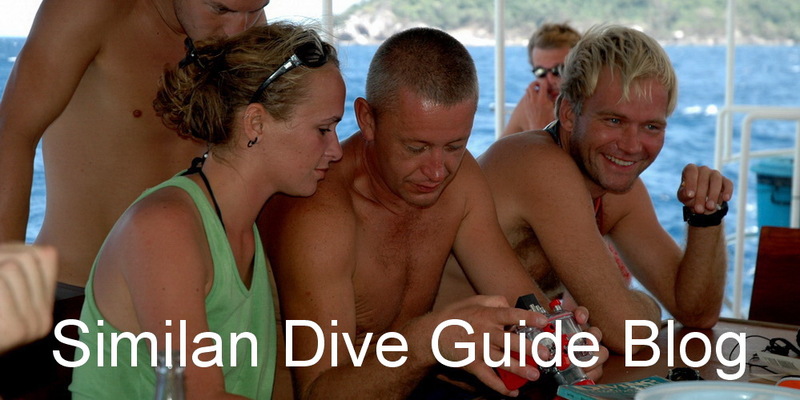 Similan Dive Guide is the information site for the Similan islands and surrounding dive sites : Koh Bon, Koh Tachai and Richelieu rock. 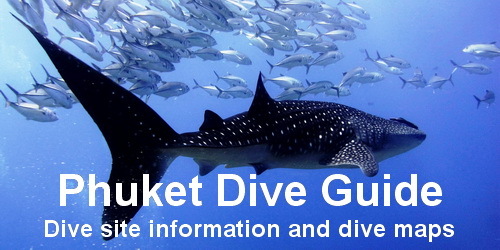 You find here a description of the dive sites, complete with new diving maps. 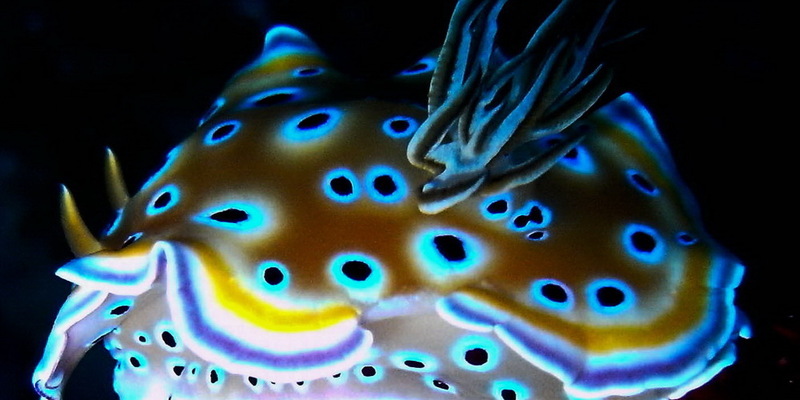 Check also out the fish guide with photos and vdo's. The Similan Islands belongs to the beautiful Mu Koh Similan National Marine Park and is approximately 65 km from Khao Lak .The archipelago consists of nine islands called Koh Payan, Ko Bayu, Ko Huyong, Payu Koh, Koh Miang (consisting of 2 adjacent islands), Koh Similan Koh Payang and Koh Bon. 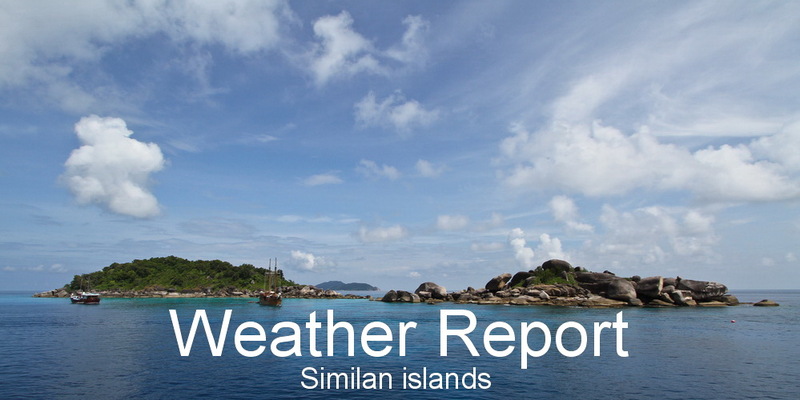 On the islands of Koh Miang ( island 4 ) and Koh Similan ( island 8 ) are the only accommodation in the Similan Islands.The center of the national park is also located on the island of Koh Miang. Deep Six is a V-shaped like extension from the mainland continuing north underwater and consists of small as well as huge rocks and boulders covered with soft coral and sea fans. 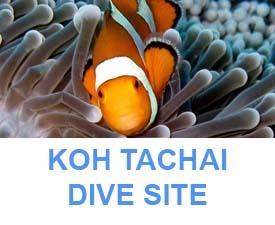 Situated on the north tip of Island 7 (Koh Pa-Yu), Deep Six‘s depth ranging from 5 - 40 meters and is one of the best boulder sites in the Similan Islands. 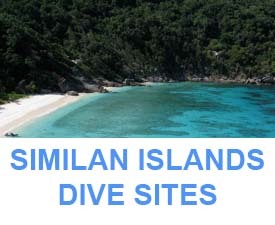 It’s an exciting deep dive site on the Similans and it was named after Island 6 before the islands were renamed (Elephant Head Rock lost its status as an island), hence the name Deep Six. Donald Duck Bay is one of the most famous and most-recognizable view points of the islands because of its famous duck's head shaped rock that is on show. This well-sheltered bay at the northern end of Similan Island 8 is very popular in the Similans for 'beach breaks' for liveaboard cruise boats. In the evenings, boats moor this bay for night dives or early sunset dives, given it well protected location and mild to no currents. Diving conditions are quite good here, the water is generally quite clear here. Honeymoon Bay is located at the eastern side of Island 4 (Koh Miang) in front of a small beach, they call “Haad-Lek”. 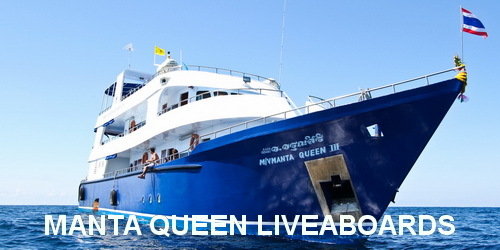 This site is not too deep and therefore perfect for liveaboards mooring in the evening to have a night dive. 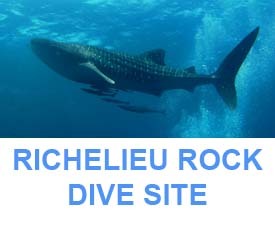 Shark Fin Reef is located 1 km southeast of Similan Island 3 (Koh Pa-Yan) and extends all the way to Boulder City. 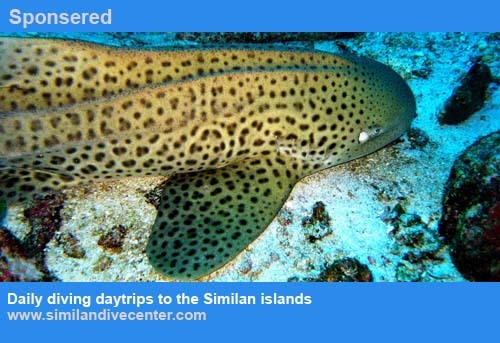 It’s the largest dive site of the Similan Island with its approximately 1 kilometre long formation of reef and granite boulders and cliff-like drop offs. This site was named for the shape of its elongated ridge of 3 pinnacles rising above the surface at low tide which reminds many of shark fins. Turtle Rock consists of a series of shallow boulders and staghorn coral stretching along the edge of the island. The average depth of the rocky area is 15-20 meters with sand bottoms at 25 meters. All along the dive site, especially on the north side, there are lots of canyons and a few fun swim-troughs. 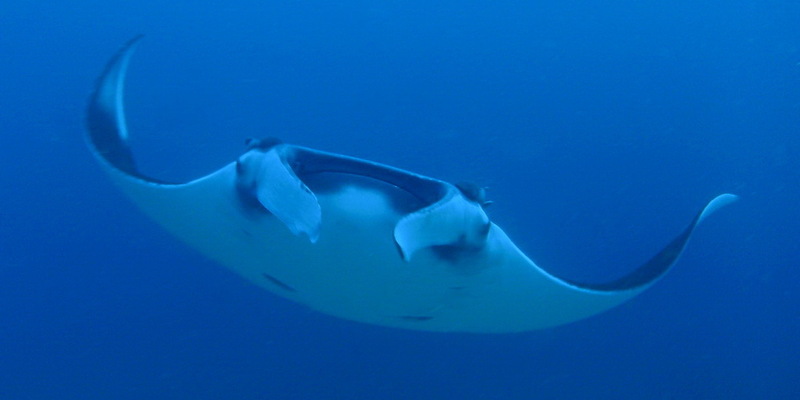 These are mostly between a depth of 8-10 meters and the surface. 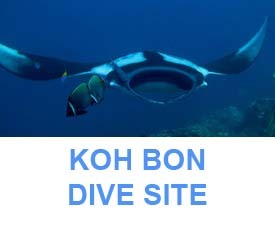 Situated on the west side of Island 7 (Koh Pa-Yu) West of Eden is a typical western Similan Island dive site consisting of giant granite boulders that create nice small canyons and crevices. Its walls are encrusted with colourful numerous sea fans, soft corals and sponges. 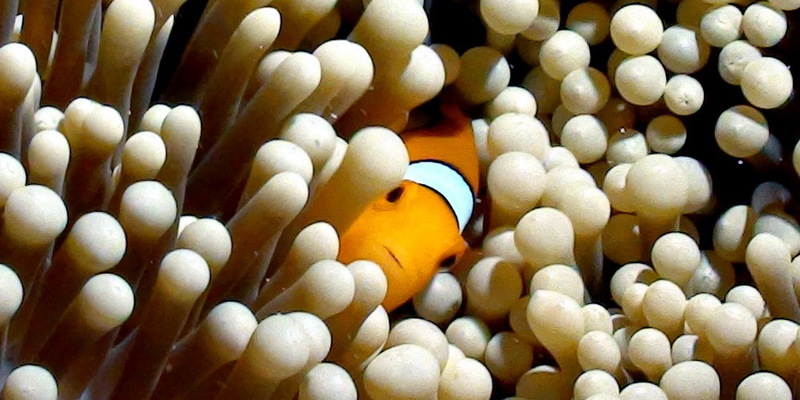 Different marine life dominates this small reef. Some refer to it also as ‘West of Six’. 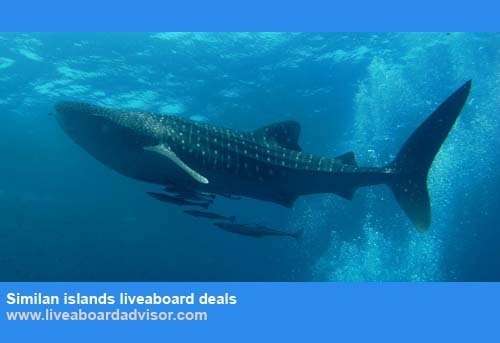 When East of Eden became too crowded and for the moment, the site is even temporarily closed, liveaboard tour operators started to look for a new dive site nearby and discovered West of Eden. It certainly has enough trumps.